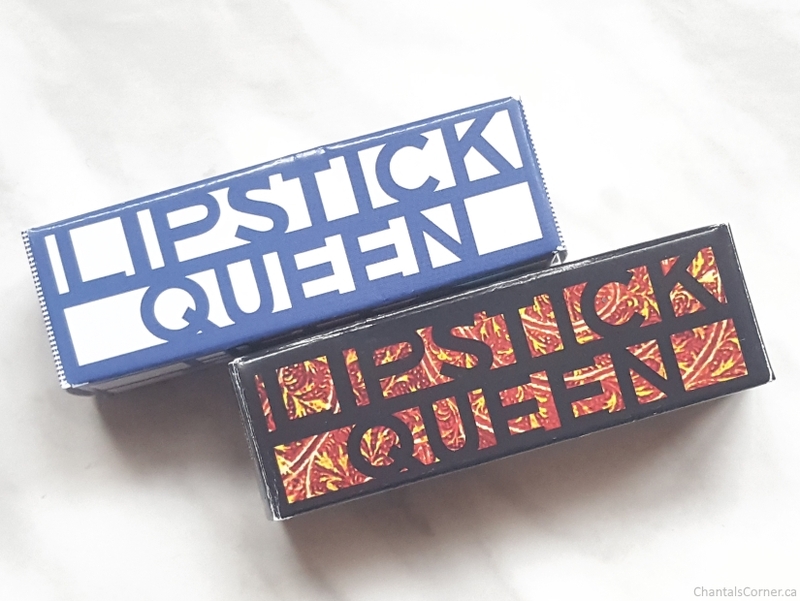 The packaging is really nice and they each have a design that goes with the lipstick’s name. 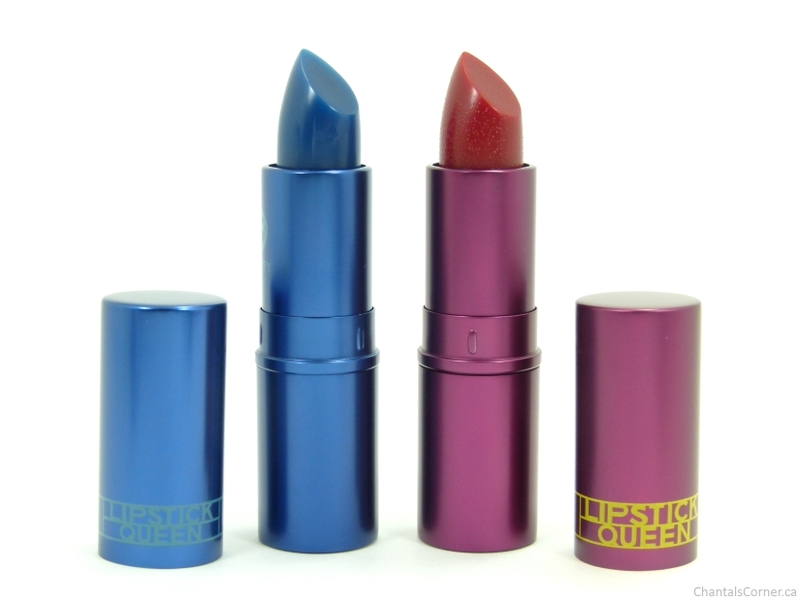 The tubes match the colour of the lipsticks which I really like because you know right away which colour you’re grabbing for. If you’re excited about the blue lipstick like I was, you may be a bit disappointed to know that it’s quite sheer. 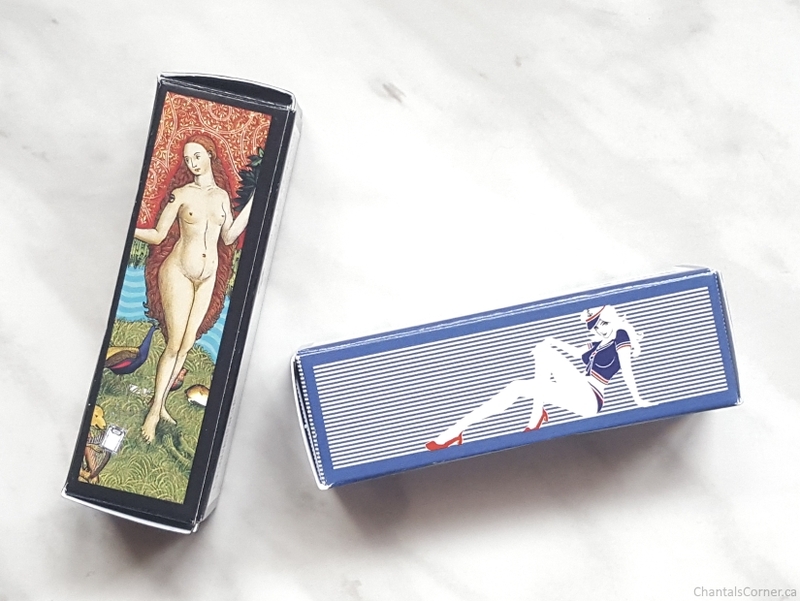 Both lipsticks are, but the blue one, Hello Sailor, is really sheer. 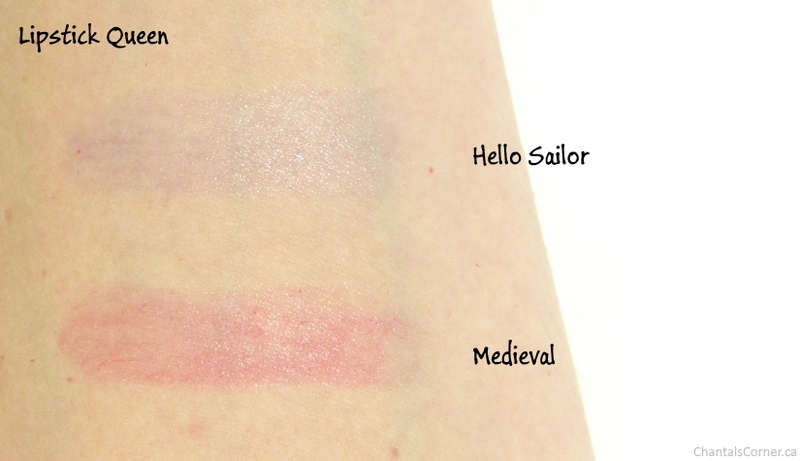 Take a look at my arm swatches below. That being said, I still like Hello Sailor. It adds a blueish tint to the lips that, mixed with my own colour, gives them a bit of a purple hue. Medieval definitely shows up more on the lips. I really like how they feel on my lips and they barely have a scent. You have to almost put them into your nose to smell something, and even then it’s really really light. I reach for Hello Sailor on my no makeup days. I really like how it adds a nice sheen to my lips, and the hint of colour gives it a little je ne sais quoi. 🙂 And Medieval is perfect for low makeup days because it amps up my natural lip colour without looking like I’m wearing anything.